Ready to ditch the shared dorm rooms and battered backpack? Krista Nannery from passportdelicious.com shares tips on how to travel in style after the age of 40. This guest post has been written by Krista Nannery, a 40-something traveler who has been blogging about food and travel on passportdelicious.com since 2004. She’s on a mission to visit 100 countries before she turns 50. She’s currently at 61 countries. While as a 20-something, you might be okay with backpacking around the world and sleeping in shared dorm rooms in hostels, there comes a certain point in your life – usually in your mid-30s – when it’s time to up your game. You’ve spent your 20s and early 30s building your career and making money. Now it’s time to treat yourself to queen size bed in a hotel room and a sit down dinner in a restaurant instead of your sleeping bag and bread and cheese on the go. Put away the no name suitcase and well-loved backpack. Now is the perfect time to invest in great luggage that you’ll have for the next 35+ years. If you can swing it price-wise, try the German brand, Rimowa. The bags glide soundlessly alongside you as you make your way through the airport departures lounge. Related to the above but separate, it’s also time to ditch your sporty travel tote. Invest in a great, stylish travel bag for your laptop, iPad, camera and other devices that you don’t want to put in your checked bag. Maybe it’s a simple, chic Longchamp shopper or a streamlined Everlane backpack, or perhaps it’s time for a classic Mulberry bag. Sites like Booking.com and Expedia are great, but they charge your hotel about 15% to 20% of your room rate. 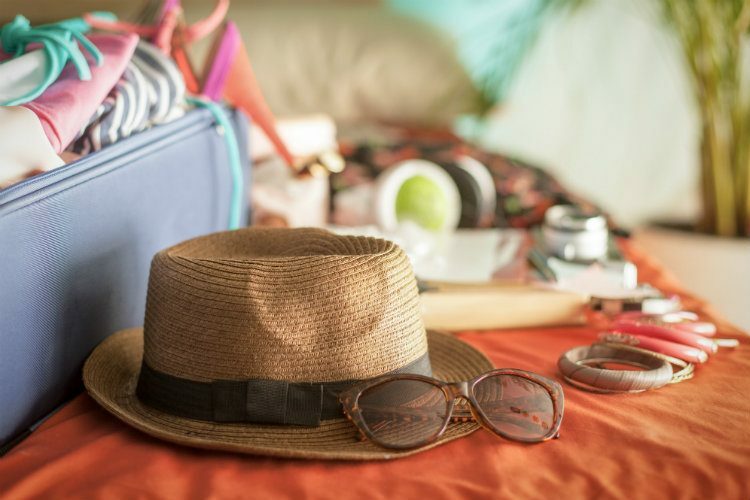 By booking directly with your hotel, you’ll save the property a little money and in return, you may unlock special discounts and deals on food, drinks, and spa services. As an example, during my recent stay at Bisma Eight in Ubud, Bali, I booked directly with the hotel. I received 15% off my stay, a cocktail masterclass for 2, 15% off at all Bisma Eight food and beverage outlets, and 15% off on any in-house laundry. After a long flight when you’re tired and stressed about getting to your next destination, exiting customs to see someone standing there with your name on a sign can be a moment of great joy. They’ll take your bags and if you’re lucky, they’ll have some bottled water and a cool towel ready for you once you get into the car. Ask your hotel about the price of a private transfer, but also check out Blacklane, Groundlink, and Viator for other transfer services. Be careful of inadvertently booking a shared transfer though. That can result in a very long commute to your hotel as you drop off other passengers in other parts of the city. Many larger hotel chains now have executive or “club” floors where there’s a lounge reserved for executive/club guests. This lounge is fully stocked with complimentary snacks and beverages, and there’s usually a complimentary breakfast, tea, and happy hour service. Sometimes you will even get a few free pieces of laundry each day. Club floors are great if you need to get some work done but don’t want to be stuck in your hotel room. They are also a nice way of meeting other travelers. Rather than wandering aimlessly through a city’s streets with your Lonely Planet or joining a large group tour, consider booking a private tour guide to show you a city’s highlights. Viator, City Discovery, and GetYourGuide all have private tour guide options at all different price points. If you can’t find a private tour guide in the city you are visiting, consider just booking a driver for the day to take you to different sites, or email your hotel concierge for help. A great hotel concierge is a veritable fountain of information. They are always worth talking to, even if you have no specific plans in mind. Ask about any local events while you’re staying at the property, along with show, restaurant and spa recommendations. Have them show you what’s close to your hotel, and ask for any suggestions for tours. A pashmina or sarong can be used in so many different ways. Especially in more conservative countries, a long scarf can double as a cover up at religious sites. It can also be good if you want to sit down but something looks a little dirty, or if you want to prevent sun damage when the sun is blazing overhead. Food is one of the best ways to experience a country’s culture. Either utilize your hotel concierge to book tables at a few popular restaurants, or do your own research and use Opentable or similar apps to secure your dinner plans. Having a specific restaurant destination is so much better than wandering a city aimlessly at night, looking at menus and trying to decide where to eat. Lastly, before you depart for your holiday, think about a way to really remember your trip. Maybe each day you’re away, you’ll take a picture of pretty tilework wherever you are or perhaps you’ll snap a photo of your lunch dish. Maybe you’ll collect menus from restaurants or beer bottle labels, or perhaps you’d like to have magnets from each tourist attraction on your itinerary. Have a plan so that at the end of your trip, you have a physical collection of memories that you can put in a light box or frame. It also gives you a mission to accomplish for each main stop on your trip! What are your favourite tips for travelling in style over 40?